Consumer Confidence Survey in Germany put pressure on EUR and also EURUSD is under the influence of Yellen’s speech and other Fed officials. The support rests at 1.07520 with resistance at 1.07780 which both lines are above the weekly pivot point at 1.07060. The EMA of 10 is moving with bearish bias but it is above the EMA of 100 and 200. 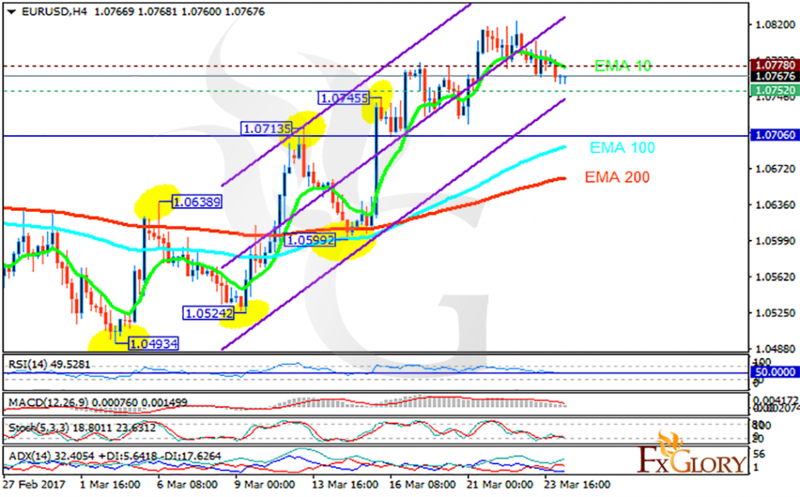 The RSI is moving on the 50 level, the Stochastic is moving in low ranges and the MACD indicator is in neutral territory. The ADX is showing buy signals. The resistance level breakout will ease the path for EURUSD to grow towards 1.080 otherwise, pullbacks are expected targeting 1.0750.